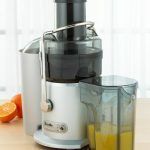 Have you been considering purchasing a masticating juicer? Do you want to be sure of the benefits offered by the masticating juicer before you make your decision? If so, you’ve come to the right place. 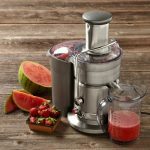 When it comes to juicing, masticating juicers are the best kinds of juicers because they ensure a higher juice yield and ensure maximum nutrition value in the juice. But these juicers can be quite expensive. 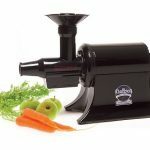 Masticating juicers use a grinding and chewing action to ensure maximum amount of juice is extracted. The pulp is squeezed by the motor at a very low speed (80 RPM) thereby ensuring that maximum amount of juice is squeezed. Many masticating juicers run the pulp through multiple times until no juice is left ensuring maximum juice yield. This is especially true when juicing soft fruits, vegetables and leafy greens. 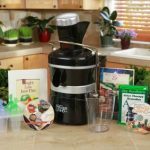 When it comes to juicing hard fruits, we’ve found that the masticating juicers are no better than centrifugal juicers. Centrifugal juicers actually do a better job (because they are quite fast) when juicing harder fruits. But with most fruits and vegetables, you get a better yield by using a masticating juicer. The masticating juicer is a must especially if you’re into juicing leafy greens such as spinach. No centrifugal juicer can juice leafy greens as effectively as masticating juicers. For all juice fast enthusiasts, the masticating juicer is the right choice. Well… the high speed of action of centrifugal juicers result in a lot of nutrients not being extracted from the pulp. The nutrients cannot be extracted even if you feed the pulp back again into the juicer because of the way centrifugal juicers operate. They are ideal for harder fruits and vegetables. As a result, a lot of nutrients are missed out when you juice using centrifugal juicers. But since masticating juicers operate at a lower speed and use a grinding and chewing action (in some cases a triturating action with twin gear blades), thereby ensuring extraction of all nutrients present in the juice. The difference between a masticating juicer and a centrifugal juicer can be determined by the taste. The reason a majority of people prefer masticating juicers is because of the taste. 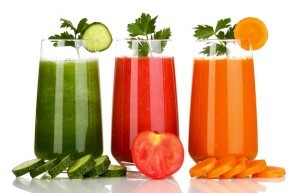 These juicers ensure that all the nutrients are extracted from the pulp in the best manner possible. The speed is quite low. With centrifugal juicers, you can have your juice ready in under a minute. But with masticating juicers, you’ll have to wait at least 10 – 30 minutes to have your juice ready. The end result is tastier juice. Juice produced from masticating juicers can be stored longer for a period of 72 hours because no oxidization takes place during the juicing process. 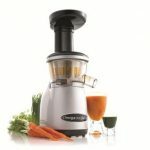 But with centrifugal juicers, oxidization occurs during the juicing process as a result the juice has to be consumed immediately. We hope this article has helped you understand the Benefits Of Using Masticating Juicer. Leave your comments below.